Explore below San Francisco Bay and get up close and personal with more than 20,000 local marine animals. The interpretive naturalists are always nearby to answer your questions and guide you through hands-on animal encounters. 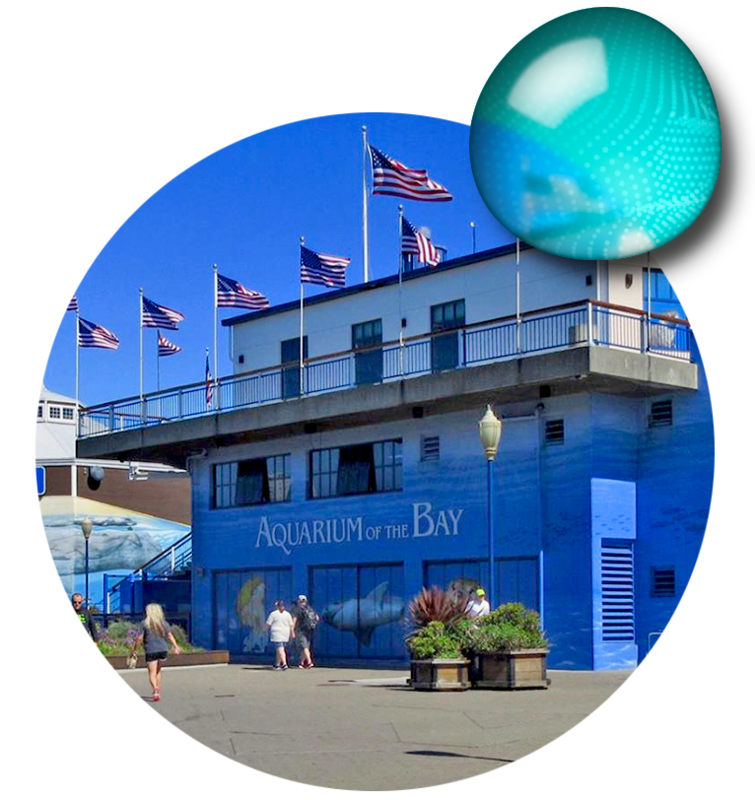 Get all the visitor information you need to plan your visit to Aquarium of the Bay. Check back frequently for early closure notices.  Aquarium of the Bay is located on the iconic waterfront at PIER 39. 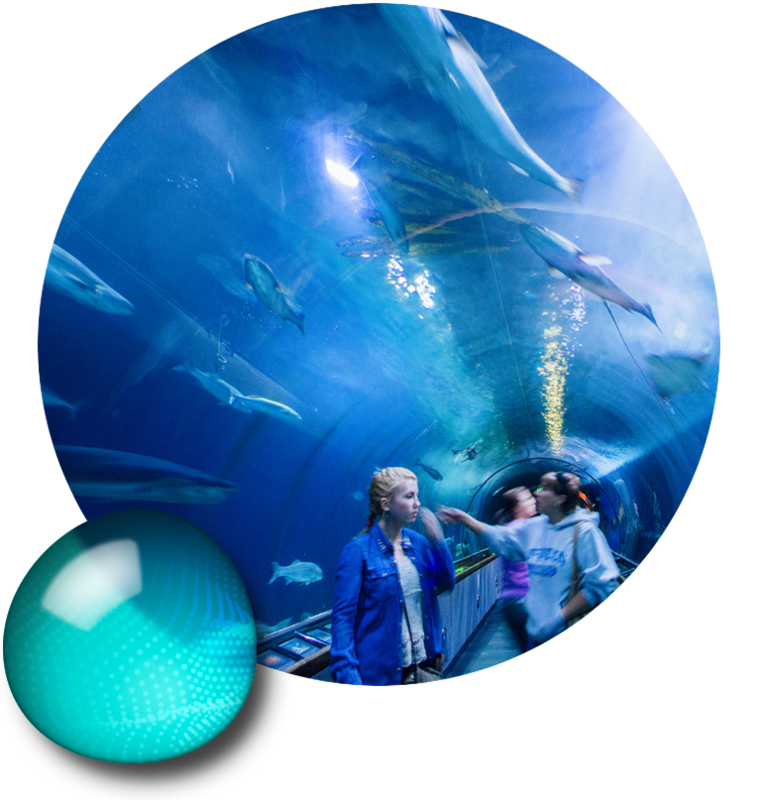 Aquarium of the Bay supports the use of public transportation. Present a current, valid Bay Area public transportation pass or transfer and receive $2 off adult admission, and $1 off child/senior admission (cannot be combined with any other offer). Visit www.511.org to get directions for using public transit to visit Aquarium of the Bay. The historic F Line stops right across from our front door.